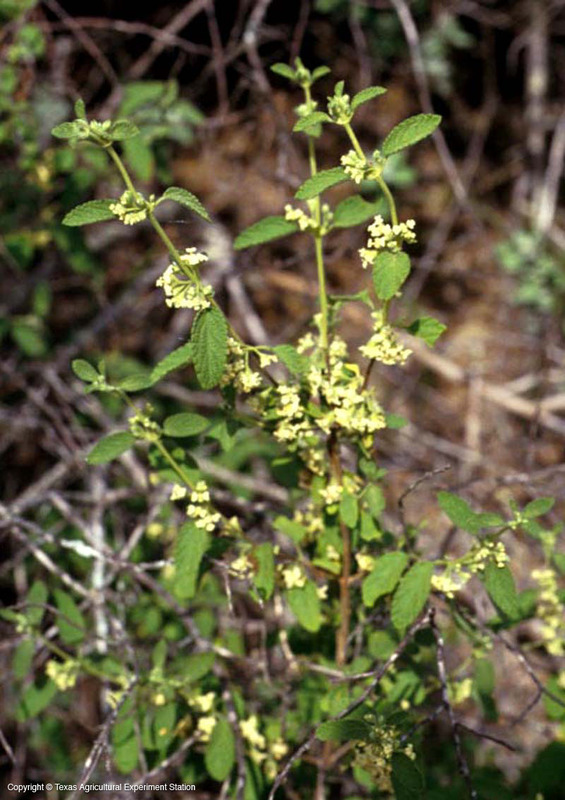 Redbrush lippia prefers the dry, rocky hills, valleys and open desert scrub in the Trans Pecos, the Rio Grande plains and valley. It ranges northeast to Austin and Houston counties, west to New Mexico and California, and south into Mexico and Nicaragua. 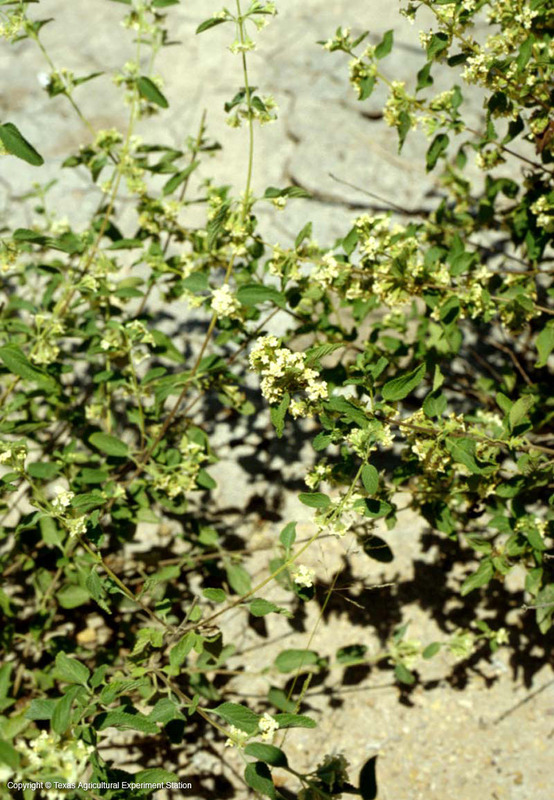 It's a slender aromatic shrub or small tree, whose pubescent (felty) branches bear rounded to obtuse, bluntly serrated leaves. 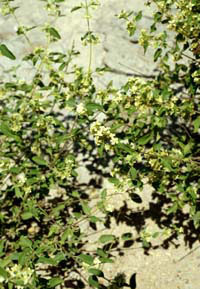 Fragrant flowers are yellowish or white with a yellow eye and occur throughout the year, especially after rains. Red-brush is used as a tonic, stimulant, expectorant and condiment in Central America. When crushed the leaves smell of oregano. Graveolens means "strong smelling".